Smartwatches are all the rage! Clever little devices that can manage your life alert you of appointments, birthdays and even your health. But do you know which smart fitness watches are the best? Sure each smart watch offers some of the core standards, but what about those who are looking for a smartwatch that is designed and built for health? We scoured the web, researched all the latest and greatest, to give the top 5 best smartwatches to boost your health and stay informed. Probably the most recognizable brand on the market, but also one of the most proven, flexible, and affordable devices on the market. The Fitbit comes with a range of product choices, making this fitness smartwatch a smart option. Fitbit offers a whopping nine different designs to match just about every activity, but we’re concerned with the best, which is why our top choice is the Fitbit Charge 2. One of the things that make this a top choice is that its version 2, and just like any upgrade, it certainly delivers. With a variety of colors to choose from, this watch provides just the right amount of elegance, combined with functionality. 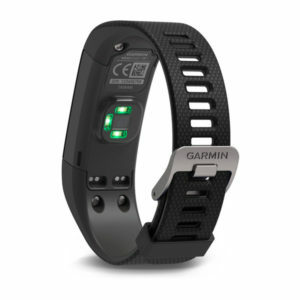 Similar in design, but more robust in fitness tracking is our second choice the Garmin Vivosmart HR+. A great addition for a robust fitness tracking smartwatch designed to make your life both easier and more informed as it offers a plethora of beautiful visuals to help you track your performance. The convenient “always on” touchscreen allows you to navigate to your current activity, review your workout stats, and check your notifications with ease. It also offers a smart “lifestyle” that tracks your typical day to day activities, setting goals for you to beat each day without having to program. It also offers an option to turn the GPS on or off, allowing one to extend battery life. Up to 5 days watch/activity tracking mode (24/7 heart rate monitoring, no GPS) or up to 8 hours using GPS. If you are looking for a smartwatch that doesn’t feel out of place, then the Misfit Ray, is perfect for those who love the idea that “less is more.” The Misfit Ray offers a light, sleek design with a powerful punch. Like most smartwatches, the Ray offers a smart button enabled to control connected household devices, as well as convenient non-charging replaceable batteries that last up to 6 months. The waterproof, multi-color LED display offers a hint of pizzazz while still staying under the radar. The bands come in two colors, black or white, but you can customize the tracking bar with a few more color choices giving a bit or personality. The design, as well as the color choices, are not meant to be elaborate, as the goal is to seamlessly blend into the wardrobe as a well designed “accessory” and not the main attraction. 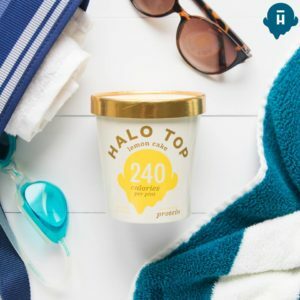 Similar to the Misfit Ray, this Fitbit product aims to offer a bit of elegance to your wardrobe, while still providing a comprehensive health tracking product. 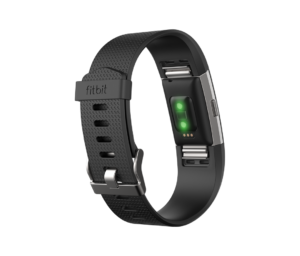 The Fitbit Alta offers a thin wristband with a LED display to keep you on track. The band is a size fits all, providing multiple rivets to best fit your wrist size, the apps provide an essential but helpful health tracking including auto sleep tracking, clock, move reminders, and a tap display. 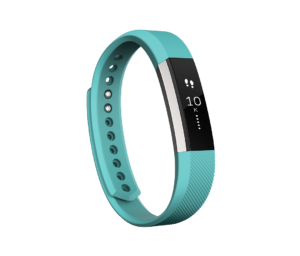 The Fitbit Alta is perfect for those just starting out with a fitness tracking routine, offering friendly reminders to get up and move, smartphone notifications, and an easy to use interface with the tap display capability. If you are more worried about tracking your sleep patterns, then our final pick is superb at keeping your zzz’s in check. 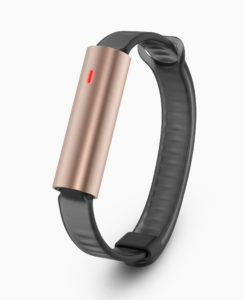 The Jawbone UP3 certainly offers other health tracking options including a “smart coach” encouraging you when to take your next activity, or the heart health tracker to keep your heart rate monitored. 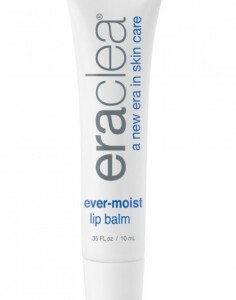 However, by far, this product excels in the bedroom. Sleeping that is. 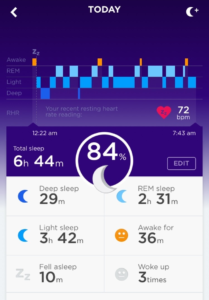 The app helps you track and monitor your sleeping patterns in a way that much other fitness watches do not. Jawbone UP3 automatically tracks and measures your sleep patterns. Tracking Deep, Light, and REM, and while giving tips to help you get a better night’s rest. Taking the first step into understanding your overall health is to become aware of your activities. 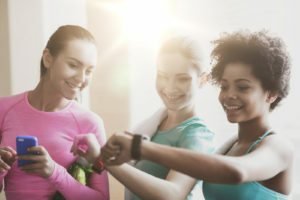 That’s why the smartwatch focused on health can be an excellent tool to give you the information, insight and even motivation you need to make simple, small steps each day to improve your overall health. 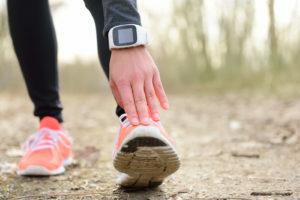 There are a ton of fitness watches on the market, and while we certainly have not covered them all, we have provided a bit of comparison to give you the right information you need when picking out your first tracker. If you are a skilled tracker, then opting in for a more robust and expensive product shouldn’t be a shocker, however, if you are just getting started, then we recommend to try one of the most basic models to give you a taste of what they have to offer. 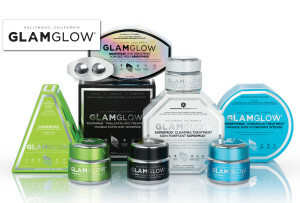 Regardless of which model you choose, or if you pick a product that is not even on our list, the most important thing is that you have not taken steps to improve your life, become healthier, and utilize the best of modern technology. So, grab your smartwatch, set your goals, and get active!